Minimum quantity for "9 Nights 10 Days Bali, Singapore & Malaysia Tour Package" is 1. DAY 1: Arrival at Bali International airport. Transfer to hotel. Check in at hotel. Overnight at hotel. DAY 2: Breakfast at hotel. Kintamani and Ubud Village tour with lunch. Dinner self. Overnight at hotel. DAY 3: Breakfast at hotel. Half day Bali Dolphin Water sport activities (Parasailing/ Jet Ski/ Banana boat) on SIC. Free time on your own in the evening. Meals self. Overnight at hotel. DAY 4: Breakfast at hotel. All day leisure at your own. Meals self. Overnight stay at hotel. DAY 5: Breakfast at hotel. Transfer to airport and fly to Singapore. Arrive at Singapore airport. Look for a placard of your name. Transfer to hotel. Check in at hotel. Overnight at hotel. DAY 6: Breakfast at hotel. City tour in the morning and Sentosa Island tour (1-way cable car, 4D adventure land and Wings of time show) in the afternoon. Meals on your own. Overnight at hotel in Singapore. DAY 7: Breakfast at hotel. Transfer to coach station. Depart to Malaysia. Transfer to hotel. Check in at hotel. Meals on your own. Overnight at hotel. DAY 8: Breakfast at hotel. Full day Genting Highland tour. Meals on your own. Overnight at hotel in Malaysia. DAY 9: Breakfast at hotel. Half day Kuala Lumpur city tour. Free time in the evening on your own. Meals self. Overnight at hotel in Malaysia. DAY 1 (AIRPORT – HOTEL) Arrive at Bali international airport. Please look for placard of your name when arrival at airport. Transfer to hotel by our representative. Check in at hotel. Overnight stay at hotel. DAY 2 (FULL DAY KINTAMANI UBUD VILLAGE TOUR) Begin your day with refreshing breakfast followed by pick up from hotel for the best full day (almost 7 to 8 hours) Bali Ubud Kintamani tour. This tour is the most favourite tour of any first time visitor to Bali. Enjoy visiting interesting places at Ubud village and continue to Kintamani to enjoy the beautiful view of Mount Batur Volcano. Kintamani Tour will let you to visit Legong batik famous for traditional Batik and hand wearing, then past the Celuk village famous for silver and gold works at UC silver & Mas village famous for wood carving and will drop to Rai Shop. Continue your tour to the Mount & Lake Batur view in Kintamani village for some stunning views of the beautiful locales in this region. And continue visit coffee plantation to see how to make Santi Agro Wisata. Lunch will be provided. Arrive at Ubud Village. Visit and look around at Ubud Market. It is a traditional art market in the centre of Ubud village where the existence is not far different from other markets available in the tourism area. Ubud Market as a society economics center of Ubud and it is apposite to the existence of Ubud Empire that is called Puri Saren. Followed visiting The Ubud Royal Palace, is an Ubud Kingdom Palace with beautiful Balinese traditional houses as a residence of Ubud King. This palace is an artistic cultural life center, while the traditional market is the symbol of local economics resident. The existence of Puri Saren as a palace is equipped by a Wantilan/auditorium that is a large building of meeting room and a banyan tree as shelter place at the daytime. 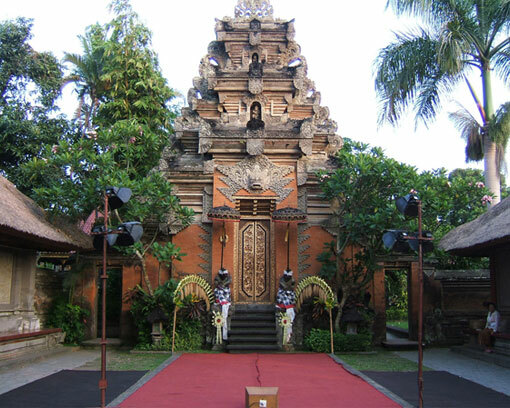 Ubud village has been a "royal town" for over a hundred years. Transfer back to hotel. Overnight at hotel. DAY 3 (BALI WATER SPORTS ACTIVITIES) After breakfast, pick up from hotel for Bali water sports activities. Bali Water Sports offer comprehensive range of marine activities with great challenges, exciting and designed full of fun in Bali islands. It offers variety of water activities from motorizes until non- motorize one and brings you to unforgettable experiences to enjoy fun activities in the beach or in the ocean. 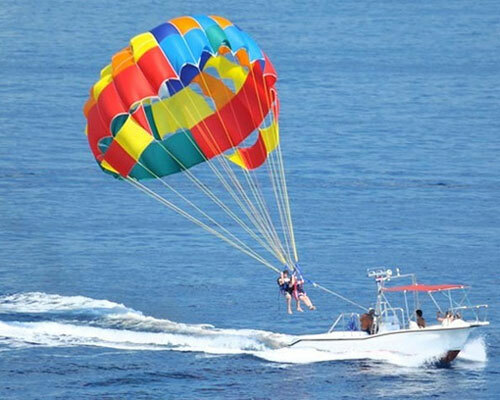 It gives you the fantastic experience marine adventures for everyone who desires to enjoy the exciting activities such as: Parasailing, Jet Ski and Banana Boat. Back to hotel in the afternoon. Enjoy your rest of the day at your own leisure. Overnight at hotel. (In case there’s a change in weather (Windy) for Parasailing, Donnut role will be replaced for your fun). DAY 4 (FREE TIME) After breakfast, you are free for your own leisure. Spend your time exploring the surroundings or choose to simply relax. Bali’s beaches are the best way to rejuvenate yourself; be it sunbathing or adventure activities, you have a lot to choose from. Overnight stay in hotel. DAY 5 (BALI – SINGAPORE) Have breakfast and get ready to leave. Transfer to airport. Fly to Singapore. Arrive at Singapore airport. Look for a placard of your name upon arrival. Meet our representative and get transfer to hotel. Check in at hotel. Overnight stay at hotel. 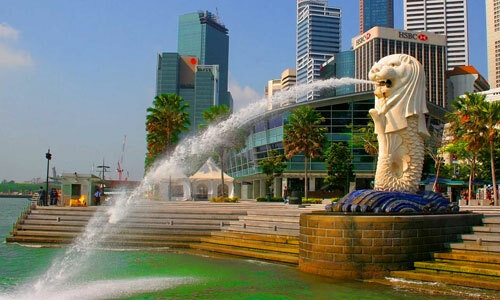 DAY 6 (CITY TOUR – SENTOSA ISLAND TOUR) Post breakfast, proceed for city tour to explore city’s famous landmarks. First stop at Merlion park and you can snap pictures with the iconic Merlion Statue, a mythological creature of half- fish and half- lion. While here, soak in the scenic views of Marina Bay with popular landmarks such as Promenade, Gardens by the Bay, and Marina Bay Sands in the distance. Stop for other excitement at the Suntec city and the fountain of wealth. 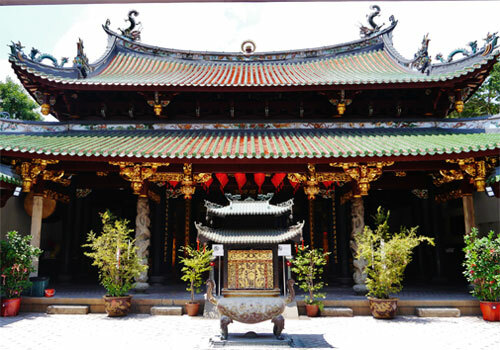 Continue your journey to Thian Hock Keng Temple, one of Singapore’s pioneer Buddhist-Taoist Temples, before arriving at the colourful streets of Chinatown. Discover the rich heritage of china town and perhaps you can browse for some souvenirs that you can bring home with you. Travel to little India, a heaven of Indian culture and ethnicity that represents the vibrant and colourful pulse of the Indian community in Singapore. Also, you can smell the aroma or rich spices and see traditional delicacies on display. Proceed to Sentosa Island tour in the afternoon. Various activities are included starting with a Cable car ride from Mt Faber, the second highest hill in Singapore. Breath-taking views and a jaw dropping panorama makes the cable car in Singapore one of the incredible experiences of Singapore Tour. This Cable ride connects Faber peak and Sentosa that makes easy to connect with other attractions. Takes about 15 min to reach Sentosa Island. Step afoot the island and be mesmerised. The lush greenery is a breath taking beauty. Continue to one of the most happening family theme parks of Southeast Asia, 4D Adventure land is a high tech entertainment zone suitable for people of all ages. This adventure theme park features some of the most stunning screening experiences. Embark on a sensory journey filled with cinematic surprises and 4D effects during Journey 2- The Mysterious Island. Try the Extreme Log ride and be transported to the wilderness of the Himalamazon. Test your aim and reflexes with Singapore’s first 4D interactive shoot out game- Desperados. The wings of time show are the latest 25-minute night show that tells a tale about two friends, a mysterious pre historic bird and their journey across several landscapes and time to find the bird’s home. The show is a display of water and light and the choreography and artistry of the show is commendable. At the end of the show there will be a wonderful display of fireworks. Back to hotel for overnight stay. DAY 7 (SINGAPORE – MALAYSIA) Have breakfast and get ready to leave. Transfer to coach station. Depart to Malaysia. Transfer to hotel by our representative. Check in at hotel. Remaining day is at leisure. Overnight stay at the hotel. DAY 8 (GENTING HIGHLAND TOUR) After an appetizing breakfast at the hotel, proceed for full day Genting Highlands tour. First stop over at Batu Caves, one of the must visit famous landmarks in Kuala Lumpur. The towering limestone outcropping is located just 13 kilometres north of Kuala Lumpur. These caves house numerous Hindu shrines. Witness the marvel of nature and snap some pictures for memories. Proceed for the Genting highlands, the nation’s largest casino resort and are breath-taking. Upon arrival, take a trip on the 2- mile (3km) Genting Skyway. As you make your way to the resort you will bear witness to panoramic views of mountains and jungles. Depart the Skyway and enjoy your time to explore the resort and casino at your own leisure. Amidst the natural beauty in the fresh mountain airs about 6,000 feet above sea level, Genting Highland is Malaysia’s luxury holiday resort and a world class city of entertainment. The spectacular vacation spot is surrounded by one of the oldest tropical jungles in the world. Enjoy the numerous indoor amusement rides, casino, cinemas, restaurants and shopping malls. You will not wish to return. The charming allures shall capture your hearts. Overnight stay in Kuala Lumpur hotel. DAY 9 (HALF DAY CITY TOUR) Breakfast at hotel. Today is the day for you to explore the history and top landmarks of one of the world’s most modern cities- Kuala Lumpur. You will get to know about some of the city’s most iconic sights as you tour the busy streets and discover quiet charming corners. Admire the King’s Palace also known as Istana Negara’s unique architecture. The palace is the residence of the king of Malaysia and doesn’t allow visitor access inside the building but you can take pictures of the exterior along with the changing of the guards that usually occurs hourly. Merdeka Square, also called Independence Square is the symbol of Malaysian independence and is one of the most picturesque squares in the world. The square features a panorama of fascinating buildings and displays both traditional and modern architectural styles. Then, there is a photo stop at the brilliant Petronas Twin Towers. Petronas Twin towers were once the tallest skyscrapers in the world and remains world’s tallest twin structures. Both the towers are joined at the 41st and 42nd floors (175m above street level) by a 58-metre-long double decker Sky bridge. The towers are an ideal place for snapping pics. Then, drive past the beautiful Lake Gardens on your way to view the National Monument, a bronze tribute to the lives that were lost in the fight for Malaysian independence, designed by American architect Felix de Weldon. Next up is the modern construction of the National Mosque (Masjid Negara) located in the heart of the city within lush green gardens and admire the pleasant combination of Eastern and Western architectural styles of the Kuala Lumpur Railway Station. DAY 10 (TRANSFER TO AIRPORT) Breakfast at hotel. Check out from hotel. Gettimely transfer to airport for departure back to Kathmandu. 3-nights accommodation at 3-star hotel in Malaysia. 2-nights accommodation at 3-star hotel in Singapore. 4-nights accommodation at 3-star hotel in Thailand. 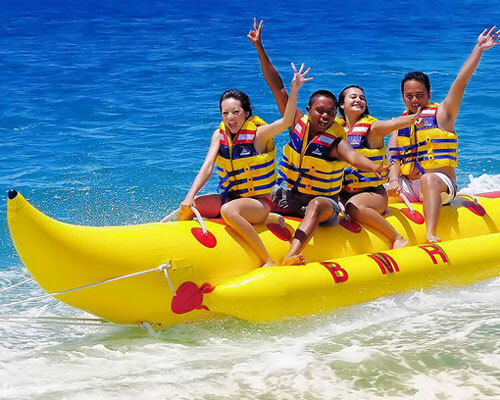 Bali water sports activities (Jet Ski/ Parasailing/ banana boat) on SIC. All other service not mentioned in the inclusion section. 3. Three pcs MRP size photographs. CONDITION You must pay 50% of full amount at the time of your booking and pay full amount after you receive your visa and required travel documents from us.